Kirat Kumar could only stare in horror as he watched all his family’s belongings turn to ashes. He could only stare in horror as he watched all his family’s belongings turn to ashes. A home in Rakiraki went up in smoke last Friday night while the family who lived there were at a Ram Naumi religious function. Rakiraki Special School teacher Kirat Kumar said he was shocked when his neighbour called him to tell him that his house was on fire. “In a state of shock I could not think for a moment so I rushed to see what I could save from the two-bedroom home,” the father-of-two said. Mr Kumar said by the time he reached his residence there was nothing he could save from the burning house. “What took years to build was gone in minutes. My wife and two children are left with the clothes they have on,” he said. “I had some new stuff in the house and some were on payment, my bank cards and certificate and even all my children’s school books are gone. 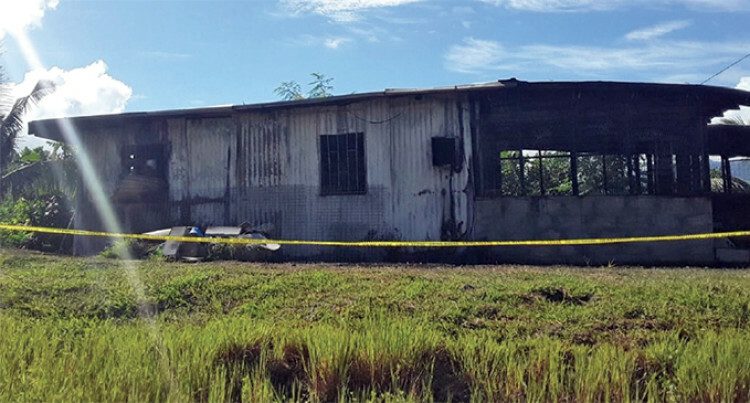 The Police and National Fire Authority were set to conduct investigations to de­termine possible causes of the fire.